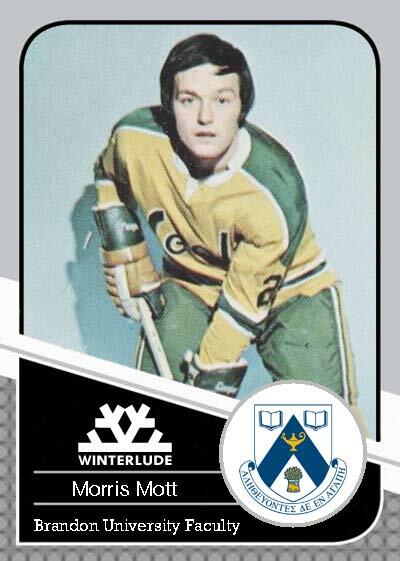 BRANDON, MB – Two former NHL players are lacing up in this Saturday’s Students vs. Faculty/Staff hockey game at Brandon University (BU), part of the annual campus open-house ‘Winterlude’. Morris Mott, Professor Emeritus in the history department at BU, played with both the Winnipeg Jets and California Golden Seals. Jonathan Filewich is a BU student who wore Pittsburgh Penguins colours. Mott was born and raised in Creelman, Saskatchewan and played his junior hockey in the Saskatchewan Junior League with the Weyburn Red Wings. In the fall of 1965 he moved to Winnipeg and played with the Canadian National Team until 1970. Mott was also a member of Canada’s 1968 Olympic bronze medal winning team in Grenoble, France. He turned pro in 1972, playing more than 200 games. Today, Morris Mott is a well-published history professor with more than a quarter-century of service in the faculty at Brandon University. Filewich, a native of British Columbia, was drafted 70th overall in the 2003 NHL Entry Draft by the Pittsburgh Penguins. 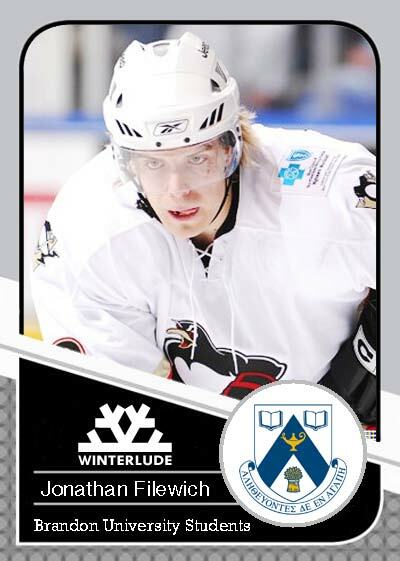 He participated in the 2007 AHL All-Star Game and assisted on one of Team Canada’s goals in a 7-6 defeat to the Planet USA All-Stars. In 2009, Filewich left North America to play in the Austrian Hockey League, retiring in 2011 to continue his education at Brandon University. The two right wingers will be available for autographs prior to Saturday’s game at 3:30 pm, on outdoor ice directly south of BU’s Health Living Centre.